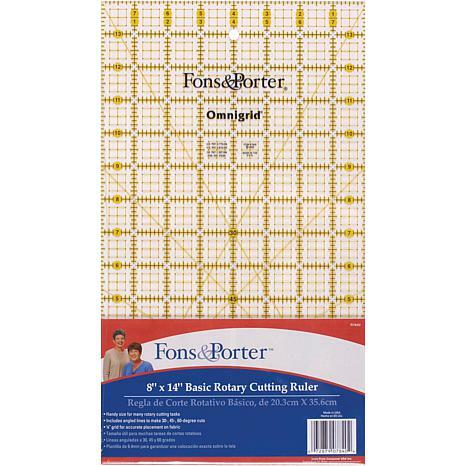 FONS and PORTER-Rotary Cutting Ruler is 8x14 inches. 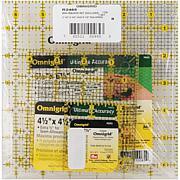 As quilters, we know what we like in a ruler and the Basic Cutting Ruler is the best one ever. 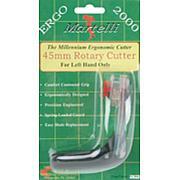 You will find it a handy size to use for many rotary cutting tasks. The 14 inch length of this ruler makes it long enough to cut across fabric folded in fourths but short enough to be easy to transport to workshops. The length is great for sub-cutting strips into squares of other shapes without having to clear everything else off our cutting table! 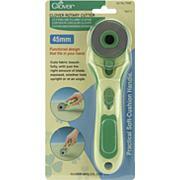 The 8 inch width makes it easy to cut wider strips and borders. 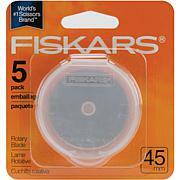 You will enjoy the 1/4 inch grid that lets you quickly see that you have the ruler placed correctly for sub-cuts. The grid also makes it easier to find the correct 1/8 inch markings. Additional angled lines for 30-, 45-, and 60-degree cut are included for work with other shapes such as squares and rectangles.